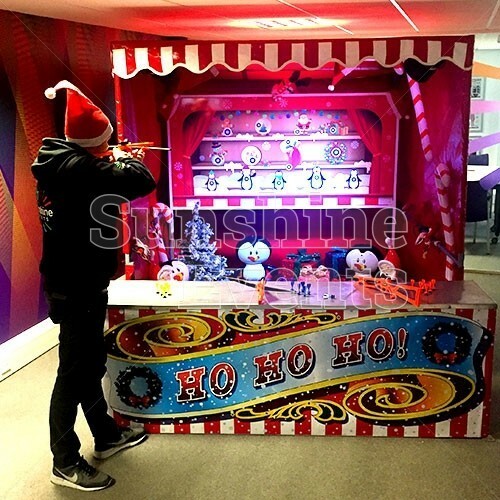 After a successful Summer of fun day events, we found a true winner in the form of our Funfair Target Stall, and we felt it only right to extend the sharpshooting fun right through the festive period as we unveil our brand new Christmas Funfair Target Stall! Using the same high-powered crossbows, you can take aim and fire the sucker-arrows at the various targets on the backboard, decorated with all sorts of Christmas-themed paraphernalia such as dancing penguins, snow-globes and gingerbread men! 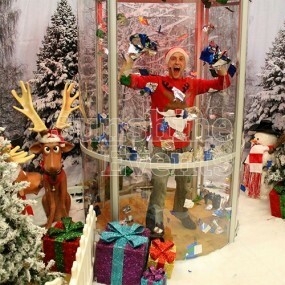 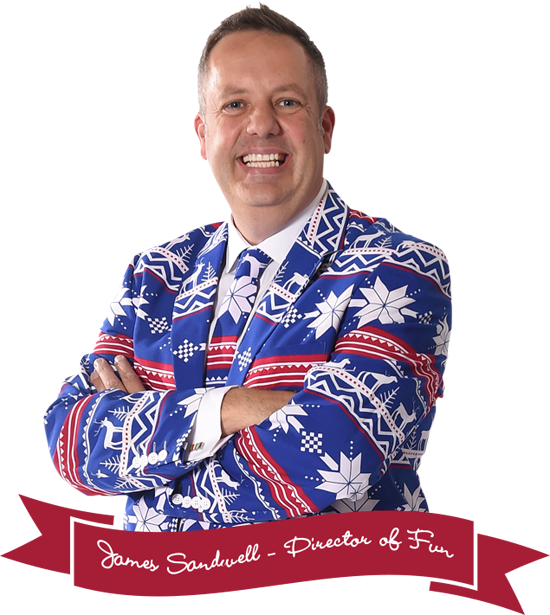 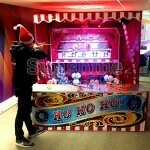 Just pull the trigger and if you can land your arrows on the target there’s a whole host fun Christmas novelties to win! 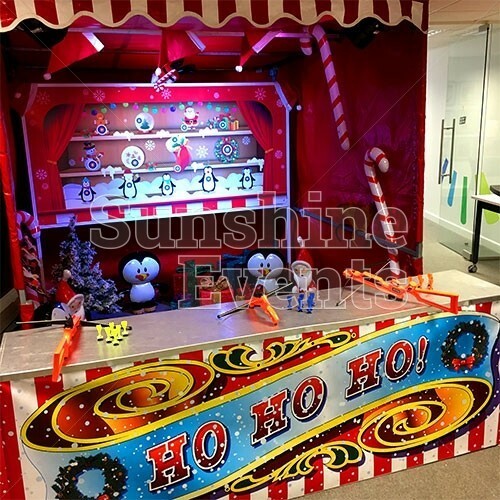 Safety is paramount at Sunshine Events, so the Christmas Funfair Target Stall is one that we would always ensure a Sunshine Events Fun Expert will staff, to ensure the safe use to the crossbow guns. 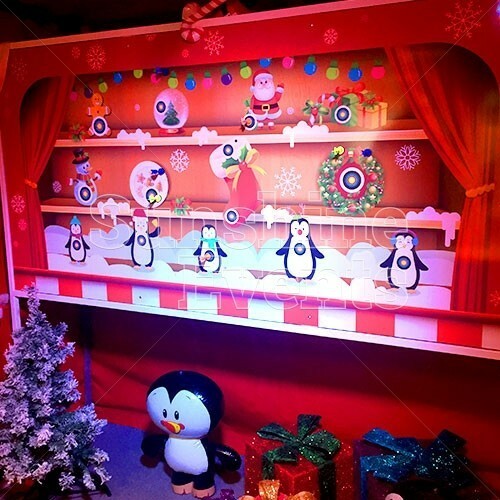 All of our Christmas Side Stalls come with 50 novelty prizes to hand out to those lucky enough to master their wobbly pole and beat the game. 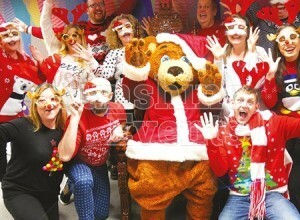 There’s funny Santa hats, Candy Canes, festive funny glasses and much more besides! 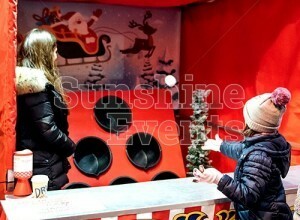 What events is the Christmas Funfair Target Stall Hire suitable for? 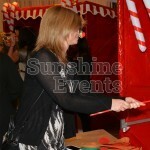 The Christmas Funfair Target Stall is a great addition to all kinds of Christmas events for young and old. There’s great fun to be had as you line up your shot and go for broke! 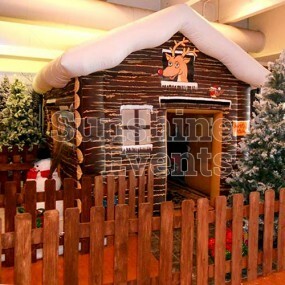 Great indoors or outdoors… even in a bit of rain! 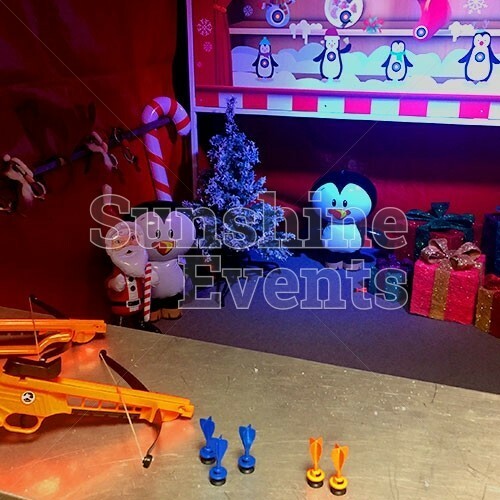 Take aim and fire with the Christmas Funfair Target Stall this year, so give the Fun Experts a call and get your hands on the popular side stall attraction! 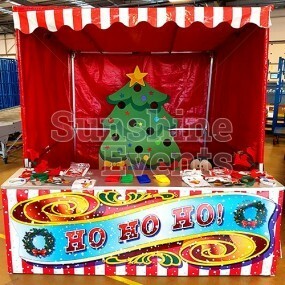 Bespoke Branded Banner - even though it features a festive design, the front banner of the stall can be upgraded to a bespoke version more fitting to your Christmas event if you require. 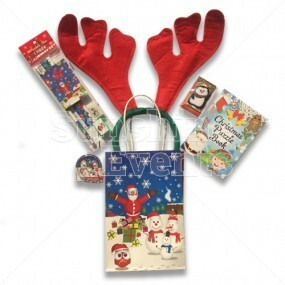 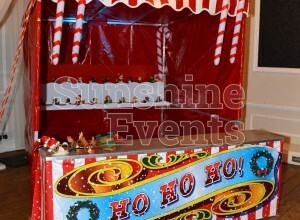 Additional Prizes - each stall hire comes with 50 festive themed prizes for your guests. 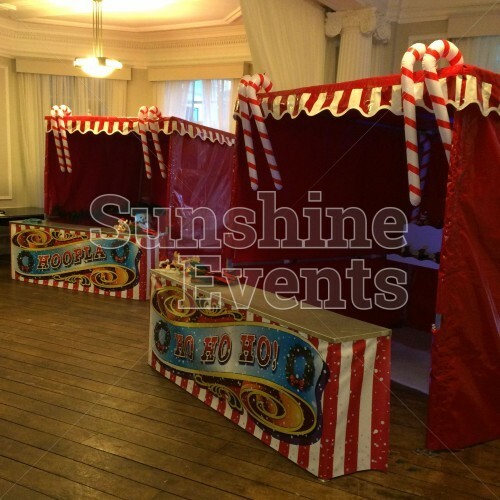 If you're expecting a bigger footfall at your event, you may want to enquire about adding more prize packages to your hire. 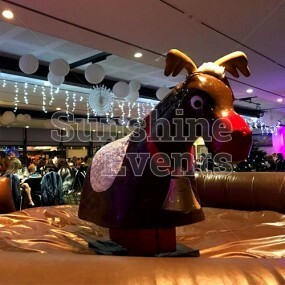 Christmas Theming & Props - with a vast array of festive themed props from comical Reindeers to Snowman, Christmas trees and more, you can add even more Christmas cheer to your event when adding to your event package. 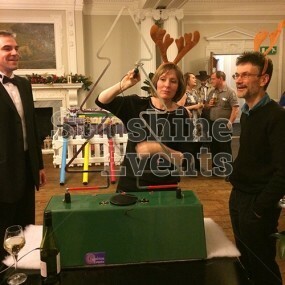 Speak to the Fun Experts today and discover how these upgrades to your hire can add even more magic to your Christmas event. 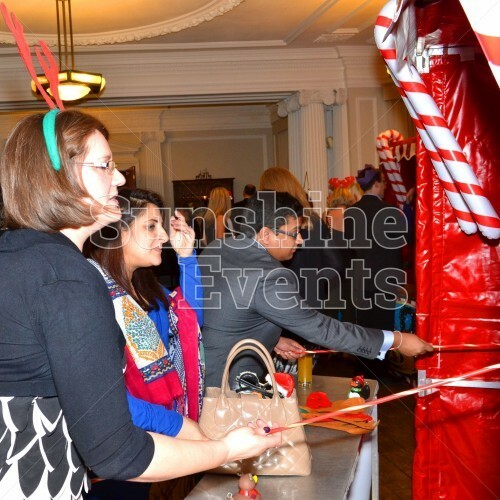 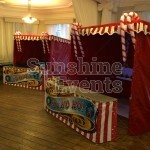 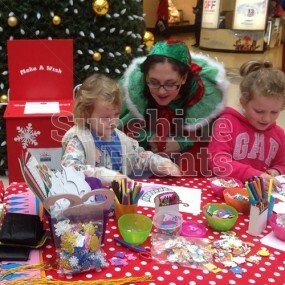 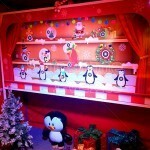 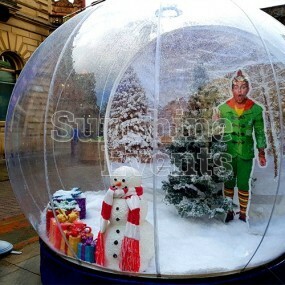 Christmas Funfair Target Stall Hire has been added to your Event Quote.